My short series on sweetened milk ends today with the tasty dulce de leche, the very popular Latin American caramelized sweetened milk. 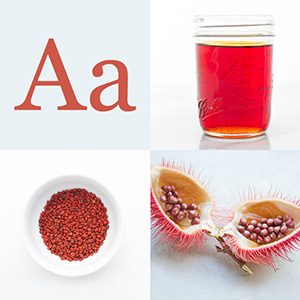 In Mexico, they call it cajeta, which is made with half goat’s milk and half cow’s milk. And it’s ubiquitous in Argentina, Brazil, Costa Rica, Colombia, Chile, Ecuador, Peru, among others. Even the French has its own version, confiture de lait. Prepared by simmering sweetened milk, homemade dulce de leche is so simple to make. Manuel, our good Peruvian friend, described how they make homemade dulce de leche, or manjar blanco as they call it. They boil an unopened can of sweetened condensed milk in a pot for a couple of hours, making sure that the pot does not run out of water. If the can boils dry, it may potentially explode. But a safer yet simple way to make dulce de leche at home is by slowly heating sweetened condensed milk using a double boiler or even a homemade double boiler assembled by setting a metal bowl on top of a pot of simmering water. The metal bowl should be big enough so that it sits on top of the pot without touching the water. Manuel spreads manjar blanco on top of the traditional tres leches to make it even more decadent — quatro leches! With a couple of cans of condensed milk left over from my tres leches and leche flan, I made dulce de leche and some rich and crumbly peanut butter cookies and made wonderful dulce de leche peanut butter cookie sandwiches. 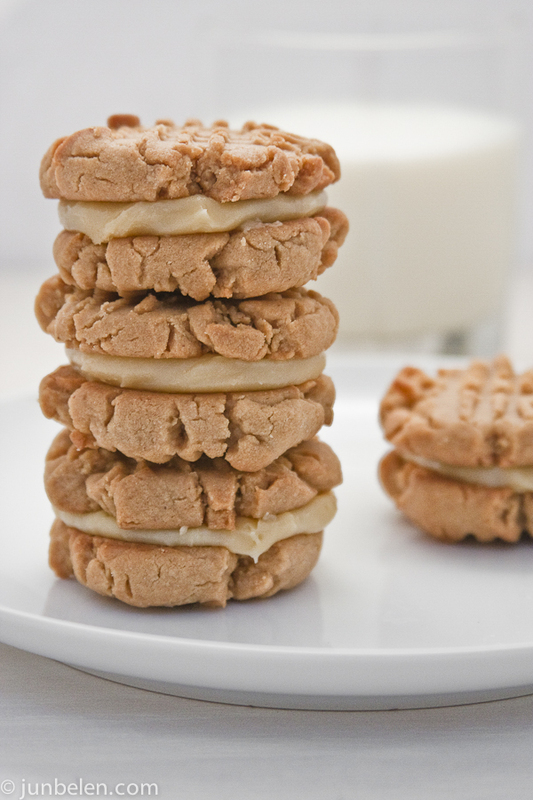 Dulce de leche will go well with practically any kind of cookie, chocolate chip, gingersnaps or plain snickerdoodles. 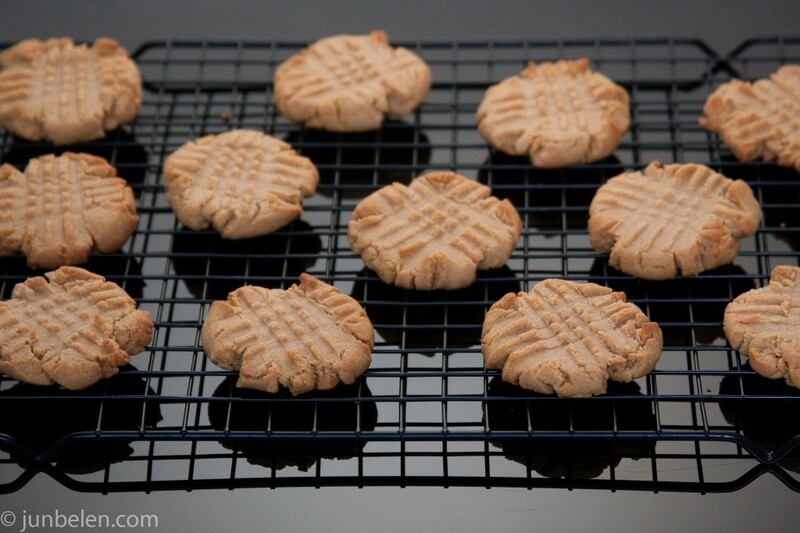 The recipe for peanut butter cookies is taken from the Joy of Cooking, which will make about sixty 1-1/2-inch cookies. Enjoy these freshly baked cookies with a cold glass of milk. Simply delicious. Whisk the flour and baking soda together. In a large bowl, mix the unsalted butter and sugar until well blended. Beat in the egg, peanut butter and vanilla. Stir in the flour mixture until well blended. 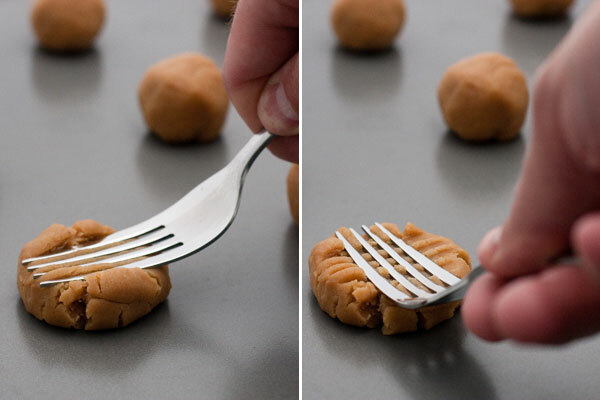 Shape into 1-inch balls and arrange about 2 inches apart on cookie sheets. Press flat with a fork in one direction and then press again in the perpendicular direction to give a crisscross effect. Bake one sheet at a time, about 10 to 12 minutes. Let stand a couple of minutes on the baking sheet, then remove to a rack to cool. In a double boiler (a homemade double boiler can be used), heat the condensed milk for about an hour while stirring it every so often. As the milk cooks it will get thicker and take on a darker caramel color. The dulce de leche will further thicken as it cools. If you prefer a very thick and more caramel-like dulce de leche, heat the condensed milk up to 90 minutes. 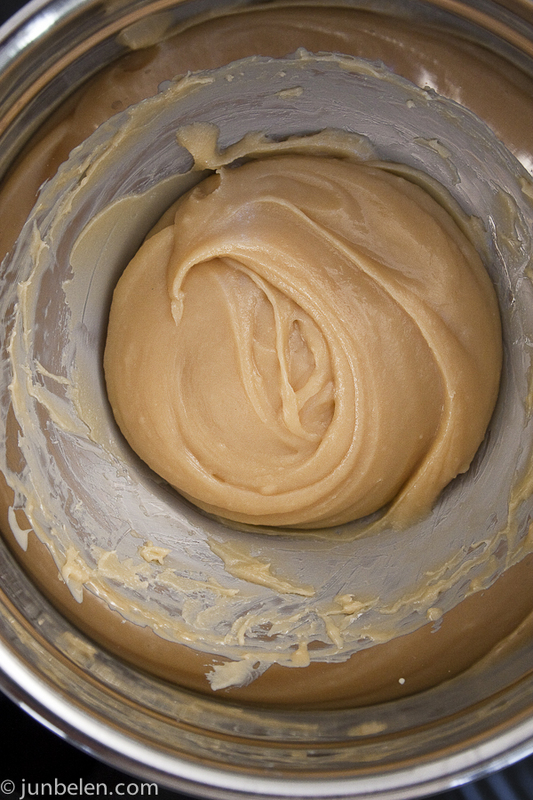 Store the dulce de leche in an airtight container and refrigerate. Once the cookies have completely cooled, pair them up by size. Spread the flat side of one cookie from each pair with a tablespoon of the homemade dulce de leche and then top with the other cookie. YUMMY!! I am bookmarking these. Thank you, Steph. They are seriously addicting!! Oh my! Those look delicious! Great photos! Thank you, Susan! These cookie sandwiches are so easy to make and sooooo good! Enjoy the start of summer! jun, these look amazing! i cannot wait to add these to my “test kitchen” files! I have just made these and they are delicious. Quite dry, almost like a shortbread, and not too sweet. Exactly how I like them. Thanks, Sam! They are really addicting, aren’t they? And you’re right, it’s texture is very similar to shortbread, very crumbly. The dulce de leche kinda holds it together. I’m drooling just looking at your pictures… Amazing!